Seven years ago, half way through my #SpaceNomad adventure waiting for STS-133 to launch, I found myself in a bar in Portland, Oregon. With me, a good friend – and fellow space fan – James. James and I first met in the Netherlands at a new media conference, cemented a friendship in London, and then a promotion at work saw him heading back to the US to live in California. Home for James though, was Oregon, and here I was, unexpectedly in his town, meeting him for a glass of wine. As we discussed the ending of the Space Shuttle programme I expressed the view that it would take quite some time for the US to be able to send astronauts back to space on their own hardware, but James was much more optimistic about companies like SpaceX filling the gap that shuttle would leave. I said the US wouldn’t have the capability to put people into space before 1st December 2017, and James took the opposing view. Having shaken on the deal – agreeing that whichever one lost the bet would have to cook the meal of the other’s choice, in the location of their choice (choosing between our two home towns) – I realised that much of my intel had been collected at the start of 2010. Had I made a mistake agreeing to December? It could be a close one! I took solace in the fact that at least I was betting on something that I’d be happy to see happen sooner, so even losing the bet would be positive. Over the years we’ve sent emails back and forth, taunting each other with leaps in progress, or technical setbacks and delays. Each year my phone has reminded me on this day that the best was still running, but today I realise it’s over – I won! Other than looking forward to conjuring up a tasty meal for James to cook – and wondering if he’ll really fly me to San Francisco so I can enjoy it! – I don’t feel much joy at having been right. This feels like a bet that I should have lost, and would have been happy to have lost, but space is hard and when it comes to human safety you don’t want to rush things. I don’t like to think of myself as a cynic, I’m honestly an optimist at heart, but I also have a realistic view not only about what’s possible, but what is “likely” – and the too can sometimes be very different beasts. Ad astra friends – and James… I’ll be in touch! In 2010 I found myself on the Isle of Man, reporting on the Google Lunar XPRIZE team summit that was taking place there. It was one of the first space-themed things that I’d ever been involved with, and as such, I was super excited to hear about a competition where a host of internationally-based teams were racing to send rovers to the Moon. Here we are in 2017, the 36 original teams have been whittled down to just five, and the deadline for reaching the Moon, despite having been previously extended twice, is now looming large. To win, teams have to land on the Moon, drive 500 m and send back HD video – by the end of 2017. There are just five months left. Space is hard, we know that, and managing a soft-landing on another celestial body adds an additional layer of complexity. That’s before you consider that rovers need to be deployed safely, drive 500 m and send high-quality video back to Earth. Getting over the first hurdle – launch – is one of the hardest to achieve, and that’s what I’m going to focus on here – since without it, the rest is immaterial. So let’s take a look at the runners and riders, and see whether we’ll see a private mission on the Moon by the end of this year. Let’s start with SpaceIL – the Israeli team – since it seems they are now aiming for a 2018 launch, which automatically rules them out. What happened to the launch contract that got them through to the final five? Well, (as one article suggests) they may have sold their launch slot on a SpaceX Falcon9 or (as another article suggests) are suffering from SpaceX launch slippages, and now targeting a 2018 launch. In either of these scenarios, they will not meet the requirements on the Google Lunar XPRIZE. So that leaves us with four. We know that India’s national space programme has come on in leaps and bounds over the past few years, and there can be no shortage of smart engineers to form a team there. Add to that they are launching on a proven launch vehicle (the PSLV) and have a scheduled date for launch and things are looking good. That said, a launch date of 28th December 2017 leaves very little room for delays or problems of any kind, since the deadline for launch (thought thankfully for them not landing) is the end of this year. Any launch slip could put them perilously close to disqualification (how cruel if a launch were to be pushed back to 1st January 2018?!). Another issue is that launches are expensive, and there are some signs that they are struggling to raise the cash required to guarantee their space on the rocket. Then there is this article which suggests that they don’t hold the necessary paperwork required, thus putting the whole mission at risk for other reasons. MY VERDICT: IF red-tape and finances are in order, they’ll get my vote. But it’s a BIG “if”. Next up is Moon Express. I regularly hear this team touted as a favourite to win the prize, and I certainly think they are good at pushing their image in the space press, but let’s look a little bit closer at their chances. Moon Express has a launch contract with New Zealand start-up (with US company listing) Rocket Lab USA, about whom very little information was available until they conducted a recent test launch of their Electron Rocket. Interested to find out a bit more about their chances of getting to the testing phase I looked into whether New Zealand had granted them a licence to launch, and discovered that the framework for them even to apply for such a thing had to be quickly rushed through parliament! New Zealand has not been considering a space-faring nation up until then, so it’s interesting to see things evolve for them. Anyway, back to Rocket Lab. They conducted a test launch – #itsatest – on 25th May 2017. For all the positive press that this received, one major element seems to have been overlooked: it didn’t make orbit. Now, for a first test of a rocket, that’s not the end of the world – but for Moon Express, who are relying on this vehicle to help them on their journey to the Moon, it’s a Big Deal. Rocket Lab stated that they were going to run three test launches before taking commercial payloads, unless the earlier launches went particularly well, and they might then consider taking commercial payload on a later test launch. We’re two months since their first launch and they are still crunching the data. It didn’t go brilliantly, so the likelihood that they will take payload on the next test launch is low, and, not to put too fine a point on it, time is running out. Another side thought is this: I’ve seen pictures of the mock-up of the MX-1E lander and it seems pretty small. I’m not a rocket scientist (sadly), but it sort of feels like maybe they would need more fuel to get to the Moon from Earth orbit, no? Unless they have another launch vehicle lined up, I wouldn’t put my money on Moon Express getting to the Moon this year – no matter how good their media game is. MY VERDICT: Good patter, but over-optimistic. Without a different launch vehicle, I’m going to take a punt and say it ain’t happening this year. Who are we left with then? There’s Team Synergy Moon, but again, they are relying on a new rocket – and it’s being built by one of their founding partners, Interorbital Systems. According to Synergy Moon, they will launch on a Neptune-8 rocket, so I went to find out a bit more about it. So far, it doesn’t appear to exist, but Interorbital Systems describe the Neptune rocket family as being “assembled from multiple Common Propulsion Modules (CPMs)”. So a bit like Lego bricks then? Just stick a few more modules together for a bigger rocket? Hmmmm. This is where it starts to get a bit confusing. There is different (and at times contradictory) information online, and even the company website can’t seem to make up its mind! Depending on the section you read, Synergy Moon is either launching on an N8 LUNA rocket, comprised of 8 long CPMs, or an N36 (which, if you follow their naming convention of the small Neptune rockets, would involve 36 propulsion modules!). I found an amazing image, (credited to Interorbital Systems, but apparently no longer on their site) which shows what the N36 might look like. Forgive me for feeling less than confident about this modular approach. Their latest press release (from 25th July 2017) announces that their N1-GTV is almost ready for a low-altitude flight test. Once this is complete they will attempt to build an orbital version. Given the N1 forms the basis of their larger rockets, they are a long way from getting to the Moon. Oh – and I didn’t mention their plan to launch from “a private island launch site or from the open ocean” did I? I’m afraid this is rocket science, and there is a reason that that clichéd phrase is often used – it is hard. Once again there is no news of a launch date as far as I can tell, so again, I’m putting their chances at small to miracle. MY VERDICT: I admire the innovation, but I think they’ve bitten off more than they can chew. That means it’s all down to Japan’s Team Hakuto then, which is a bit of an issue really, since not only do they not have their own landing vehicle (which frankly doesn’t seem in keeping with the spirit of the original competition), but without Team Indus, they won’t have a launch either. Oh. MY VERDICT: Hitchhiking to the Moon isn’t easy… even if they make it I’d credit Team Indus with the win. Is anyone capable of winning the Google Lunar XPRIZE this year? I’d say – no. In fact, I think I’d put money on it. That’s not to say it is impossible, but at this point it is so improbable that I’m frankly surprised that Moon Express are still publicly pushing a message that they think they can win. I actually got in touch with the GLXP press contact (as listed on their site) recently to find out whether I’d missed any press releases. The most recent one about the status of the GLXP, which they kindly pointed me to, was that from January, when they announced the five teams through to the final stage. The fact that there didn’t seem to be any launch scheduling updates – with so little time left in the competition – should ring alarm bells, even if nothing else I’ve written, has. Is the GLXP a failure? At least three of the original teams have developed serious business plans that expand on the basic GLXP requirements (to land, drive 500 m and send back HD video). Moon Express recently announced a range of vehicles that they hope to use to expand their Moon business, PTScientists will conduct a range of scientific experiments and technology demonstrations on the lunar surface – as well as returning to the site of Apollo 17 to investigate the structure of the original Lunar Roving Vehicle after 45 years on the Moon, and Astrobotic have a partnership with DHL to allow you to send a keepsake to the Moon using a DHL MoonBox. All three companies are banking on a demand for payload delivery services to the Moon (– and beyond?). Without the GLXP I doubt there would have been the impetus for these companies to be founded and to invest in developing new technology. Despite all the talk about Mars in the past few years, I have noticed a serious and growing interest in the Moon. This year will see China’s Chang’e 5 sample return mission launch to the Moon, ESA Director General Jan Woerner is pushing his “Moon Village” agenda, and at the recent Global Space Exploration Conference there was a real buzz around discussions involving the Moon. 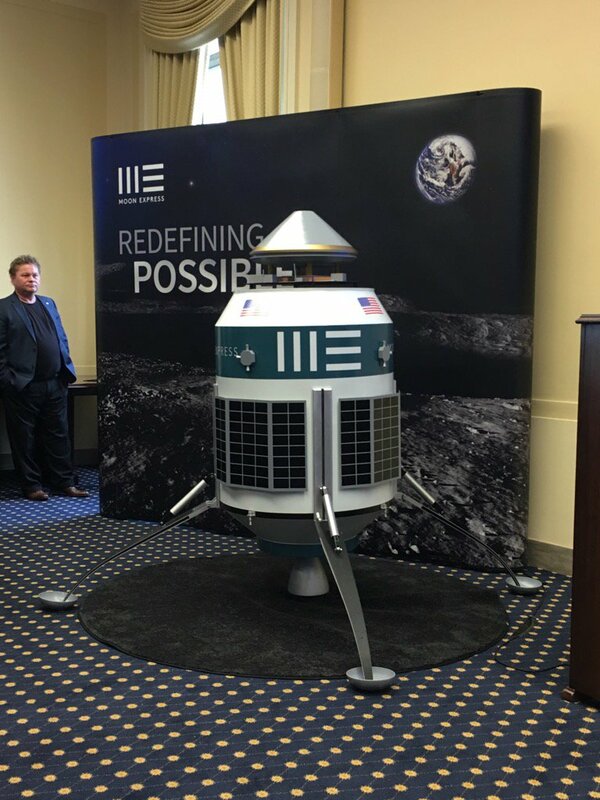 I think that this is a trend that is set to continue, and Google Lunar XPRIZE-inspired teams have a great opportunity to lead the charge in the private sector – becoming valuable and accessible partners for space agencies, nations and industry. Whether or not any team manages to fulfil the GLXP challenge before the deadline (which I greatly doubt), there is no question in my mind that the Google lunar XPRIZE has been a force for good. I will be watching the remaining teams – and those companies that opted for later launch dates – with interest. Cheers Google, and cheers XPRIZE. Here’s to the Moon! Ad astra et ad luna! Japanese astronaut Soichi Noguchi may have made the mainstream media with his photos from the international space station some years ago, but ask the average person in the street to name the big players in space, and I’m willing to bet that Japan wouldn’t be at the top of their list. Us space geeks on the other hand may know a bit more about their space activity. 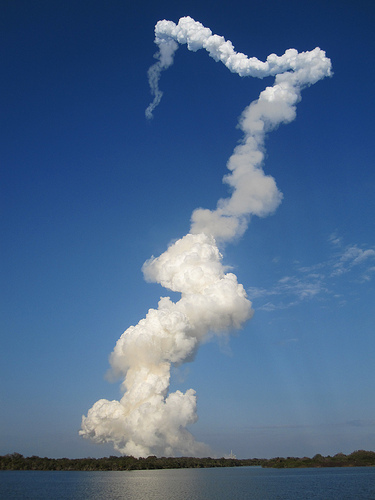 Perhaps it’s a fondness for the Japanese Kibo module on the ISS, an ability to name several of their astronauts (Koichi Wakata, Chiaki Mukai, Soichi Noguchi etc), awareness of the H-IIB ISS resupply rocket, or excitement about their asteroid sample return mission Hayabusa2. But did you know that Japan has quietly been running a programme to promote space activity in countries that have previously had none? I didn’t. Well, not until a recent request to talk about Ghana’s first satellite – GhanaSat-1 – on BBC World Service programme Click Radio. 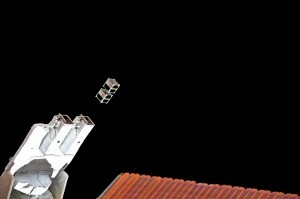 I knew that CubeSats have been launched from the ISS and indeed, from the Kibo module, but this was the first time I had put some effort into researching them further. I’m pretty excited about what I found out, and I don’t recall reading much (if anything) about Japan’s “Birds” programme, so I thought I would write something myself. The “Birds Project” is a cross-border interdisciplinary satellite project for non-space-faring nations that is run by the Kyushu Institute of Technology and supported by Japan. 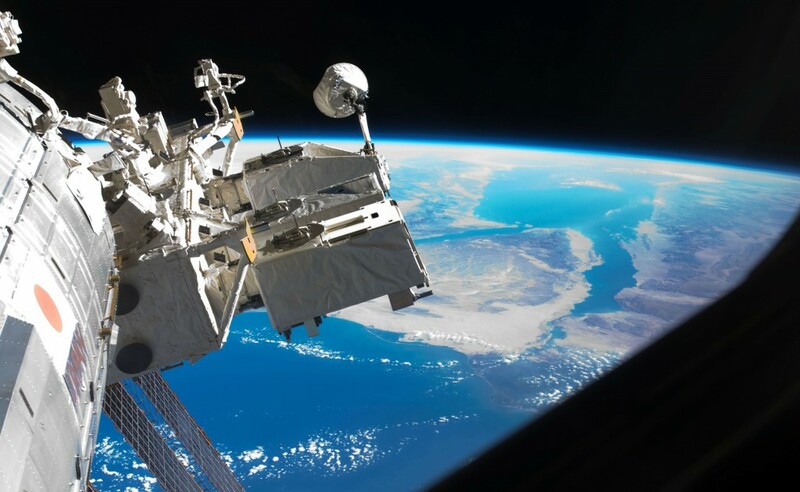 Birds-1 saw five nations each develop and operate a 1 kg CubeSat (10 x 10 x 10 cm), which was then delivered to the ISS on a SpaceX Dragon capsule in June 2017, and deployed on 7th July 2017. For Ghana, Mongolia and Bangladesh, this marked their first foray into space – a fact celebrated by the president of Ghana, Nana Addo Dankwa Adufo-Addo . 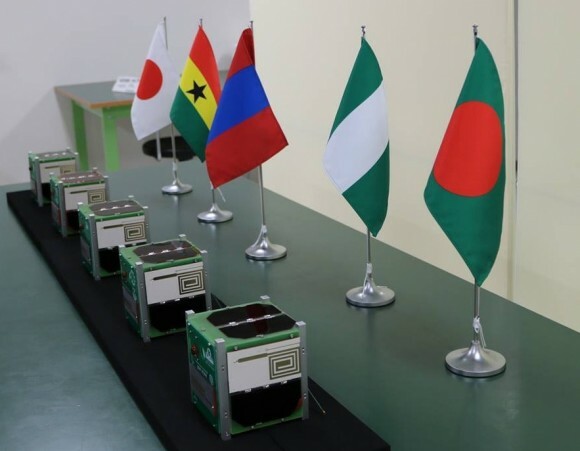 Nigeria and Japan were the other countries involved with building satellites, and Thailand and Taiwan built ground stations to support the mission. It was a project of firsts: the satellites were delivered on SpaceX’s CRS-11 mission, the first time a re-used Dragon capsule has revisited the ISS (having been used on CRS-4 in 2014), it was the first space mission for Ghana, Mongolia and Bangladesh, and formed the first five CubeSat network with seven ground stations. The CubeSats were deployed from J-SSOD – the JEM small satellite orbital deployer (JEM being the Japanese Experiment Module – a.k.a. Kibo). The CubeSats are delivered to the ISS ready-packed into satellite install cases, and astronauts onboard the station fix these to the multi-purpose experimentation platform (MPEP) pass through the airlock on a special slide table to the exterior of the space station. From there, the Japanese Remote Manipulator System (robotic arm) picks up the MPEP and moves it into the correct site for satellite release. When launching CubeSats from the space station, you must be sure that you launch them into an orbit that will not clash with your own – else you could risk colliding with them, which would be at best, unfortunate, and at worst costs the lives of the station crew and perhaps the station itself! The orbit of CubeSats launched from the ISS depends on the station’s altitude at release, and the ballistic force that they are launched with. They go into an elliptical orbit of an altitude of between 380-420 km and their life expectancy (before the orbit deteriorates and they burn up in Earth’s atmosphere) is anything between 100 to 250 days. Birds-2 is already well underway, and successful launch of CubeSats from that mission will enable Bhutan, Malaysia and the Philippines to join the list of space-faring nations. So why is this important? Or exciting? Space is a brilliant source of inspiration and opportunity for new research and data that has a real tangible benefit to people on the ground, but it is costly. For nations that do not already have the infrastructure required to take part in space activities, the barrier to entry due to costs and technical expertise can be too high. This is especially true for countries that may still be thought of as “developing countries” in an Earthly sense, and yet they may stand to gain enormously from Earth-observation data that can be collected from space. 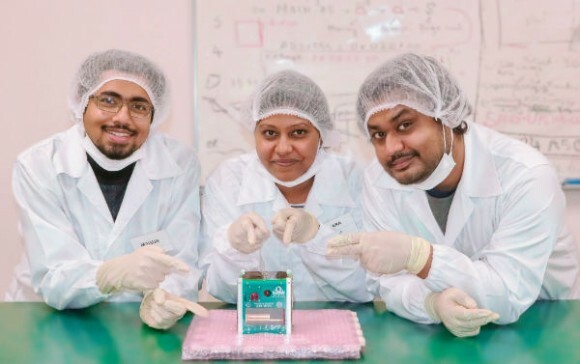 BRAC Onnesha – the Bangladeshi CubeSat – will take high resolution images to analyse vegetation, urbanisation, floods, forestry and water availability. 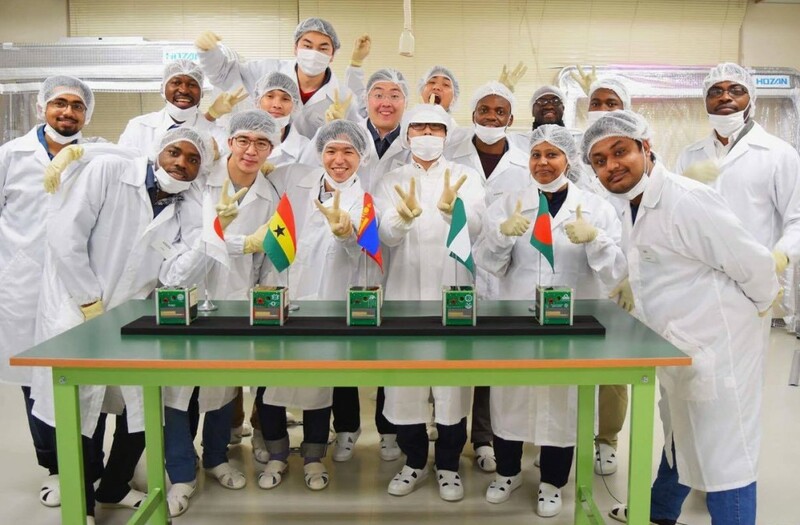 GhanaSat-1 has high- and low-resolution cameras and will be used to monitor their coastline, as well as testing the effect of space radiation on commercially available microprocessors. They’re also going to play the Ghanaian national anthem and songs of independence in space! Importantly, this is an issue of inclusivity. Space belongs to no single nation, and access to it should not be limited to those nations lucky enough to have a historic national space programme, or enough cash to build one. Space exploration is increasingly considered an international endeavour, and it is important to me that we involve as many nations as possible. Those countries with expertise and facilities should offer a helping hand to those without access to the same opportunities as them. In the end, the more minds and perspectives we have working to solve the problems of long duration space travel, the better. Congratulations to the whole Birds-1 Project Team for their successfully satellite deployments! Bravo to Japan for opening these opportunities for non-spacefaring nations – and here’s hoping that the teams’ success will spark a bigger interest in space in their home countries. The ability for space research to transcend national borders and politics is something that makes it special – let’s not leave anyone behind. As Britain gets ready to welcome astronaut Tim Peake home from space, I can’t help be distracted by the heartbreaking news about MP Jo Cox, and frankly terrifying new EUref campaign poster from UKIP. Mine is a blog about space, not about politics, but this is important to me – vitally important. Jo Cox’s life and actions, as well as these words, have inspired me to speak out. Major Tim Peake is a European astronaut of British descent. He is a European Space Agency (ESA) astronaut. His selection to the ESA astronaut corps came before the UK Space Agency even existed. 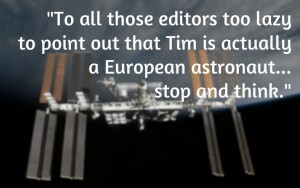 It is correct that Tim is the first non-commercially-funded Brit in space, but none of that would have been possible if it weren’t for the European Space Agency, and the co-operation that comes from the member states. No, ESA is not the same as the EU. Yes, we do pay subscriptions to be a member. But we get money back, on a system of “juste retour”, whereby money paid into the European Space Agency is then invested back into the member states on a proportional basis. There are certain aspects of ESA that every member country must contribute to, and then there are the “optional” programmes. Things like – you’ve guessed it – human spaceflight. At the time that Tim Peake was picked in 2009, the UK did not put any money into human spaceflight at all. In fact it rankled a few nations that he was even picked for the astronaut class of 2009 because it meant that countries who were paying in to the human spaceflight stream were paying for the training of citizen of a country who put nothing into that pot. But Tim Peake was an excellent candidate. By all accounts I’ve heard – including from those on the selection committee – he was such a stand out candidate it didn’t matter that the UK wasn’t paying for his training, he earned his place. Since then, the UK has dipped its toe into programmes such as ELIPS (the European Programme for Life and Physical Sciences) – allowing British scientists access to ESA’s microgravity research platforms, including the space station. This have been a huge boost to scientists working on space biomedicine in the UK. In 2012 we finally committed some money to the human spaceflight budgets also. Did we cover the cost of training and then flying Tim to the space station with these investments? No. But, thanks to the co-operative nature of the European Space Agency, we were able to benefit from investments and resources from other countries. During the EU referendum campaign there has been a lot of talk about protecting “Great” Britain and our achievements, how we would be better off out of the EU, but much less about how working together, and co-operating with other EU nations can also be a really great thing. Greater than the sum of its parts even. 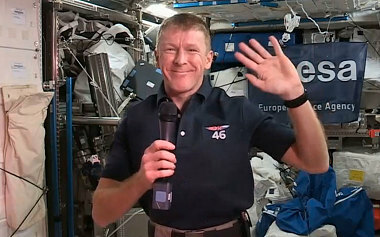 So to all those people claiming Tim Peake for Britain, to all those editors too lazy to point out that he is actually a European astronaut, or even mention ESA, I ask you to stop and think, and reflect the fact that without the European Space Agency, you wouldn’t have a story to write at all. Don’t pretend that we did this on our own. It’s a lie. Don’t just feed into the idea that we don’t need strong relationships with Europe, or that Britain will be magically better on its own, out of the EU. Remember that co-operation is sometimes the only way that we can achieve great things – like getting to Mars. No one nation could do that alone, and no one nation sent Tim Peake to space. It was a joint effort, and I’m tired of having to point that out to people. There are big problems in the UK, huge shortages of housing, underfunding of schools and the NHS, pressure on our resources, but to blame all that on the EU, without taking a closer look at the way our country is run, is short-sighted, and dangerous. Generation Z has a much more global perspective, and yet they are the ones who could inherit a nation that has cut its ties with its closest neighbours thanks to the EU referendum. Look up to space, spot the international space station and think of the way Russian, American, European, Japanese and Canadian astronauts all work together, to keep each other safe and make progress. Of course it’s not always easy to co-ordinate multiple nations, but by standing together we can do so much more. So before you revel in the great achievements of Great Britain and “our” Tim Peake, remember that without our European and global partners, Britain wouldn’t have even got off the ground.